The 50th Anniversary Jaguar guitar takes you back to 1962, when Fender introduced an unusual new guitar that paired the sleek Jazzmaster® body style and elaborate control layout with a shorter scale and smaller, brighter pickups with more output. The resulting Jaguar was the fourth and last of Fender’s original lineup of standard electric guitars. 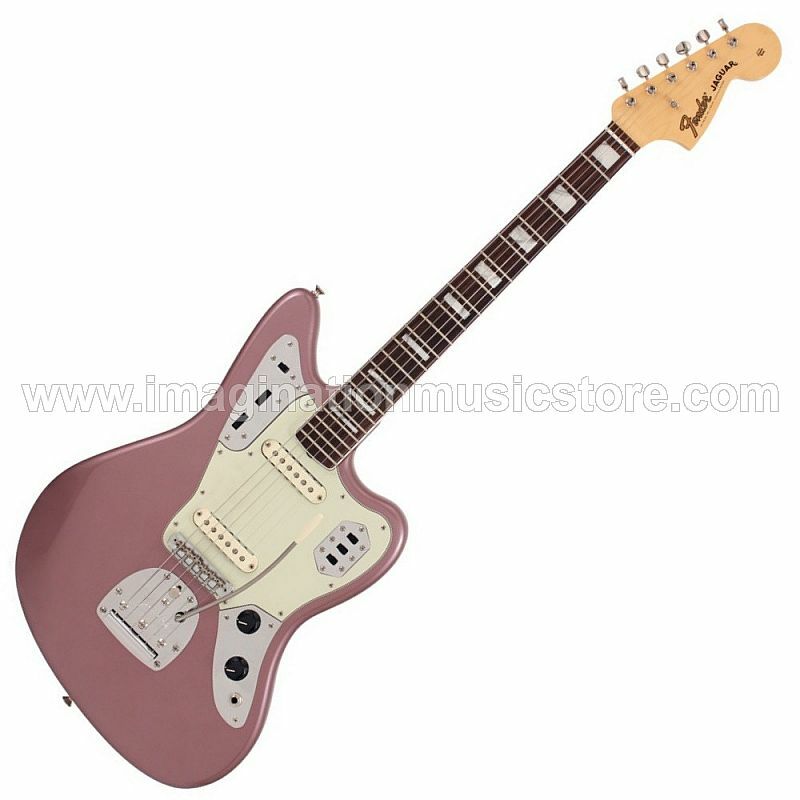 The Jaguar gradually acquired a fascinating pedigree quite unlike that of any other Fender guitar. A chromed-out, surf-rock staple of the 1960s, it found new life from the mid-1970s-on as a subversively offbeat alternative axe wielded by punk, post-punk, grunge and alt-indie guitar heroes and anti-heroes alike. The same guitar that originally crested waves of reverb-drenched singles by groups such as the Chantays and the Surfaris later fueled, for example, the dynamic grunge maelstrom of Nirvana, the translucent shoe-gazing dream pop of My Bloody Valentine and the literately artful alt-rock of the Pixies, the Flaming Lips and many others. Deluxe Brown Case, Strap, cable, set of flatwound strings included.